Note to self – if you’re going to draw more white dresses with really faint detail, just go ahead and put a heavy line of colour around the edge before you scan it. It’s friggin’ hard to erase the background without also erasing all your work. Ooh, and, have we all seen Inside Out yet? Because now I’m picturing Bing-Bong turning up at Riley’s wedding, and then I remember why he won’t, and then I cry and cry. 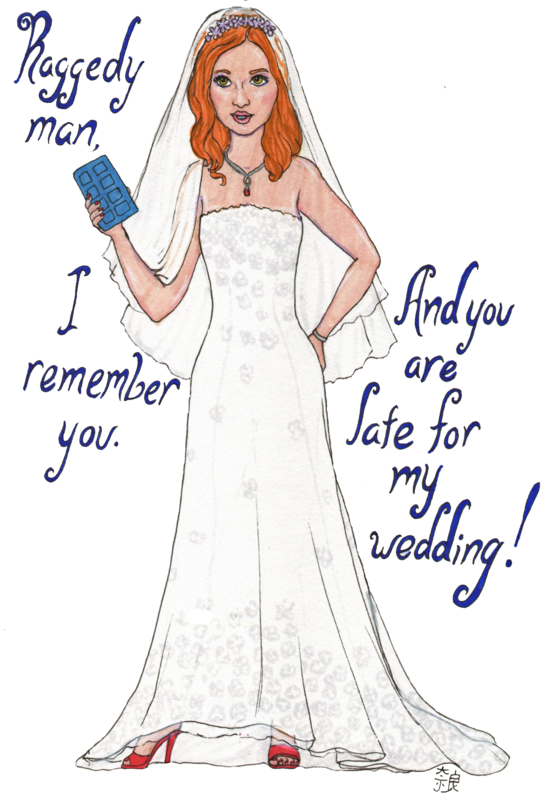 This entry was posted on July 20, 2015 by naralesser and tagged fairytales, non-owl, the doctor.